By Xigfrid, July 17, 2017 in The Workshop! 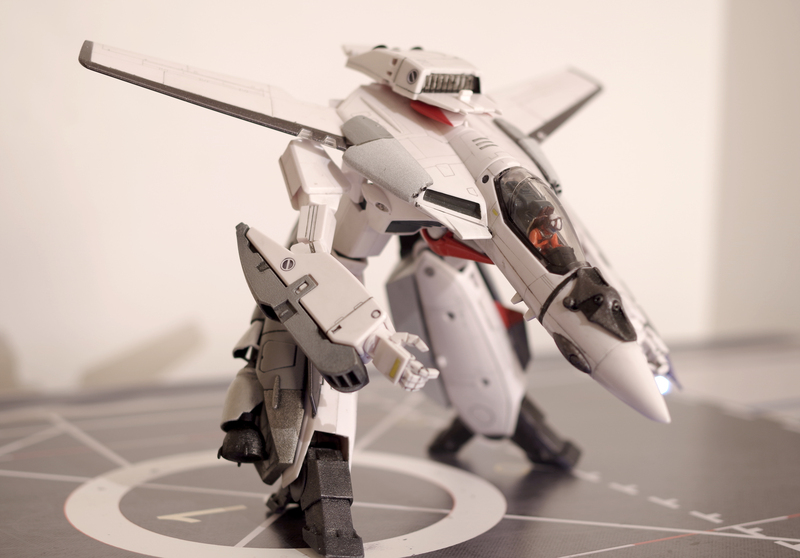 I wanted to present this custom of the VF-1X++ from Macross The Ride. 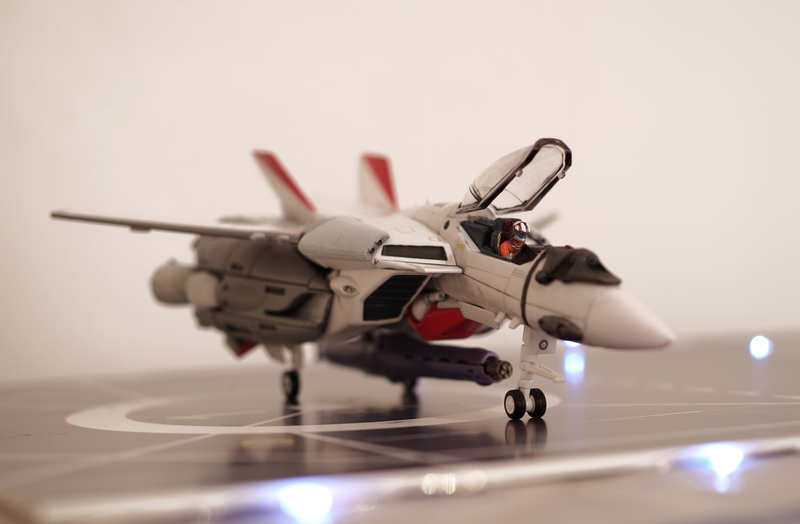 The most notable VF-1X++ is ridden by Akuna AOBA in the story novels "Macross the Ride". 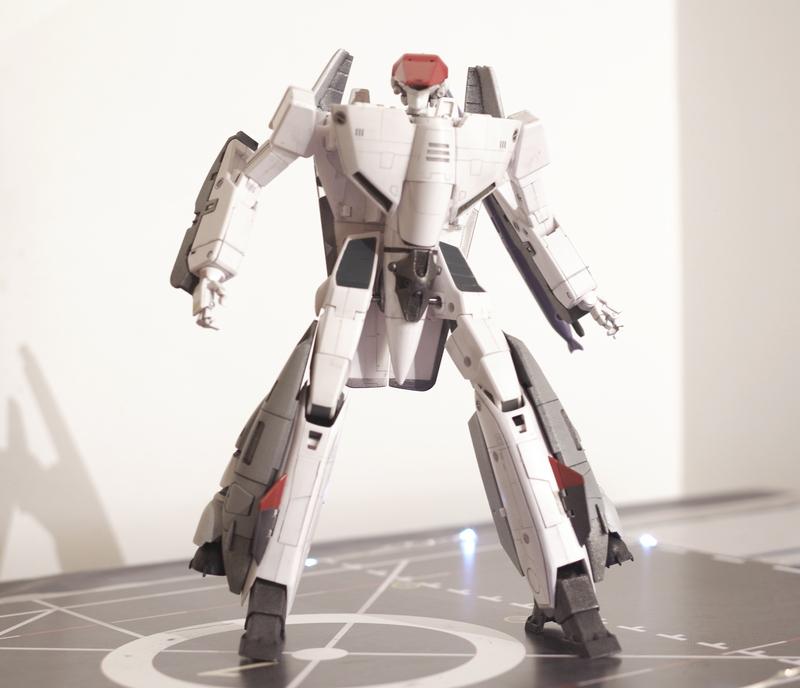 The VF-1X++ also known as "double plus" has been produced in limited quantities. 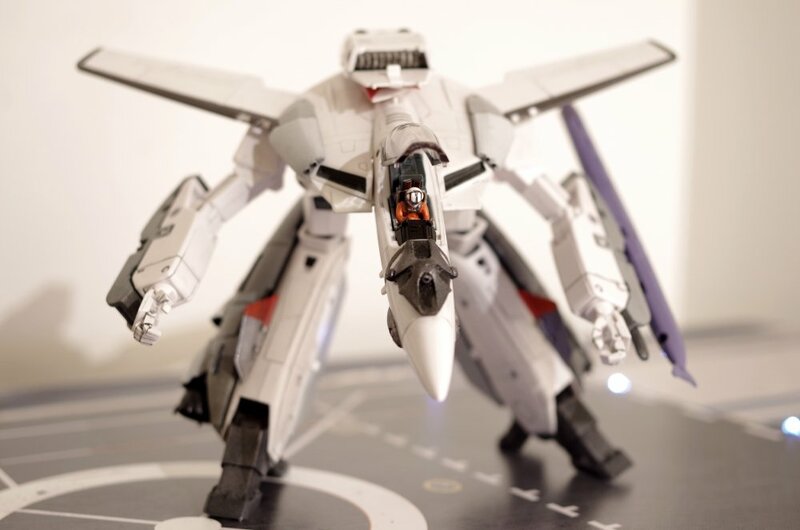 Among the special equipment, the most notable upgrades are the dual ELA-3000 thermonuclear turbine engines that have an extreme and powerful output making this VF-1 model very hard to handle. 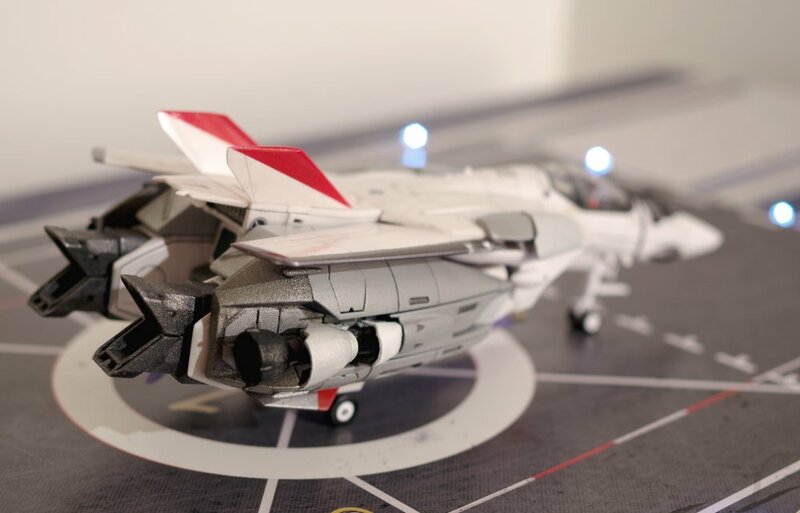 In the novel, the VF-1X++ is illustrated handling an Howard GU-17A (VF-25 gunpod), this is why this custom can store both the GU-17A gunpod and the classic GU-11 (VF-1 gunpod) in fighter mode. 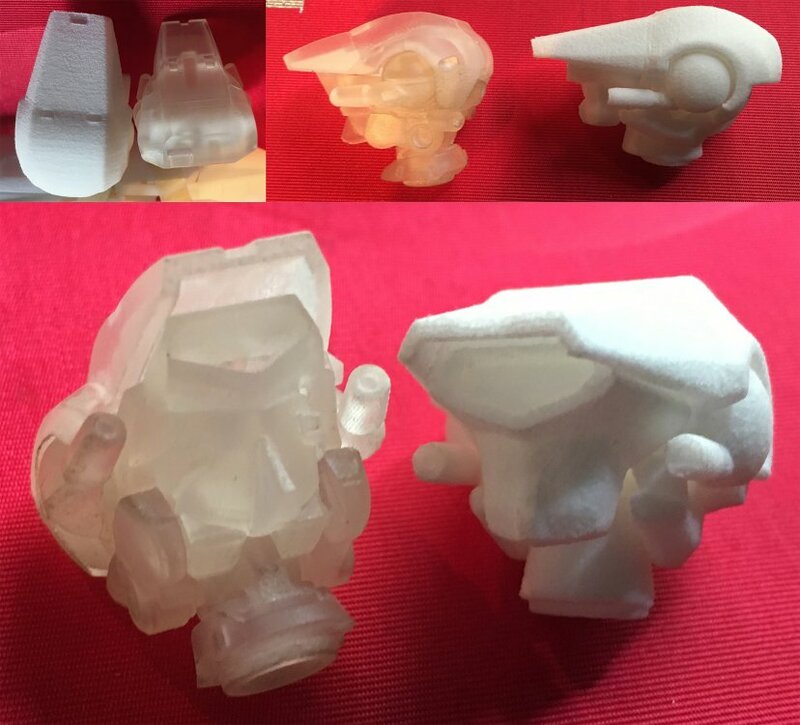 All the Shapeways parts are available here. They will need preparing and painting. Looks great. Mine are on the way, well, at least most of it. I'll be ordering the rest on Wednesday. I PMed you about the wings, but I might as well ask it here... Will you be adding the larger wings with it, or at least an attachment that can be added to them? If not, that's OK. I know you get busy. I'm really excited about getting this kit. I was thinking of designing this myself, but I'm glad you stepped up. Thanks Bolt and you are welcome Jasonc. And don't hesitate to ask anything needed if something looks wrong during assembly. Hi @valhary thank you for posting your pictures. It gives new perspectives by seeing the same kit in different customers hands. I am looking forward to seeing your progresses. This looks great, also good to see so many pictures of the parts un prepared or painted. I have question on the subject matter. 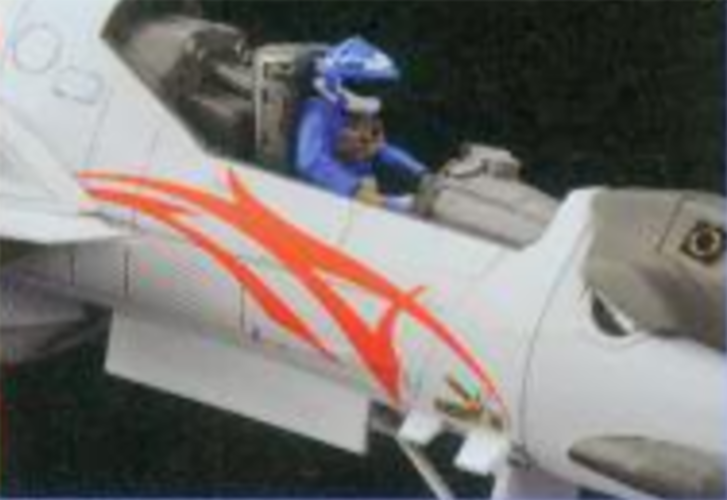 What is the reason behind the added part on the nose or front of canopy. From what I saw, most of the upgrades are meant to lessen air resistance and add power which of course goes along with the theme of the manga. I would guess it's to do with targeting, looks like it has a camera type lense in the front or something to help manuverability with the rest of the fast pack set up. 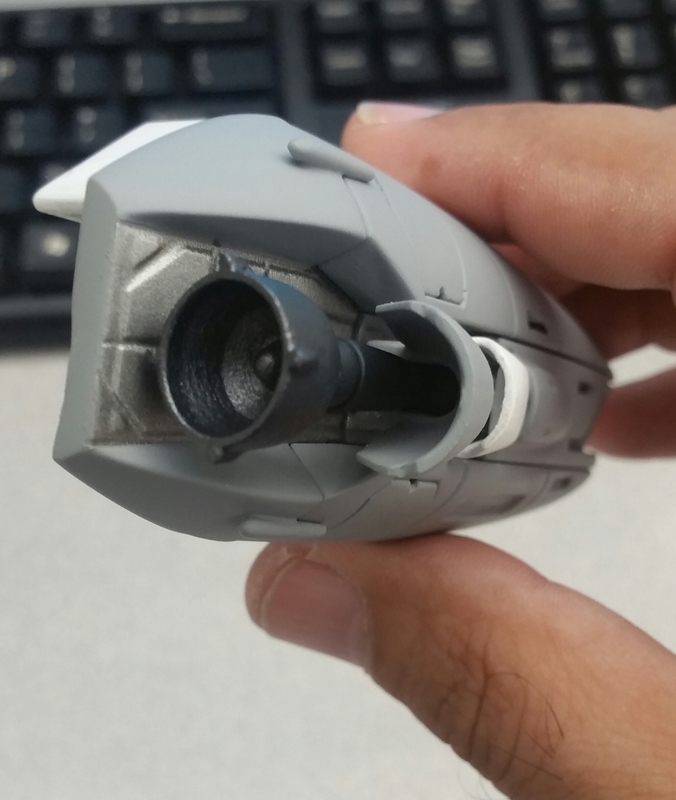 I hope That can reach to see the articulation of the cover of the leg thrusters is very cool! what scale is it in? Stabilzing thrusters? 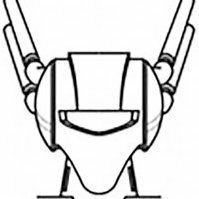 This supposedly is an unstable (high manuveurability) valk due to the upgrades or something along that lines. Edit: This is 1/60 scale. That's a modified 1/60 Arcadia Valk. Wmkjr nailed it about the nose thrusters. Since the added propulsion power makes the VF-1 to act more like a missile than a plane, it needs the directional thruster at the nose level to have more directional mobility. 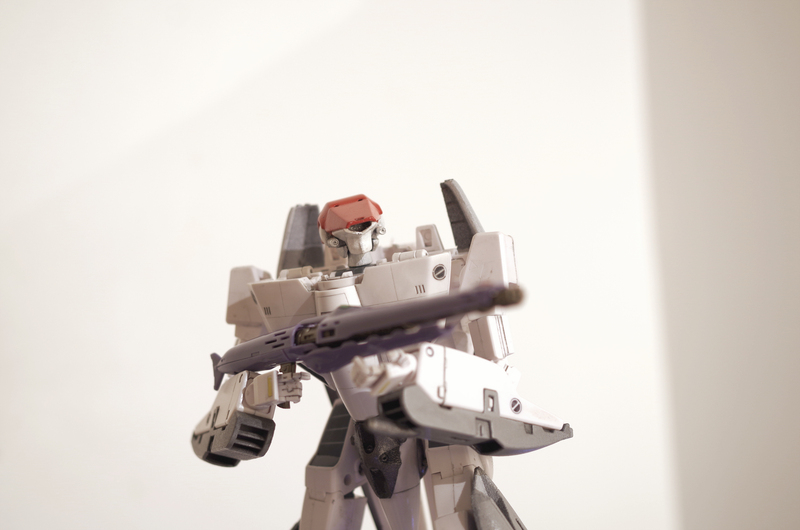 All the parts are removable, just like in the novel, the upgrade parts are added on a classic VF-1. Though the aerodynamic is enhanced further with the unique head, with a large front cap, the wings have reinforcements for strength and the tails fins are shorter. I also took closer pictures of the opening/closing flaps. 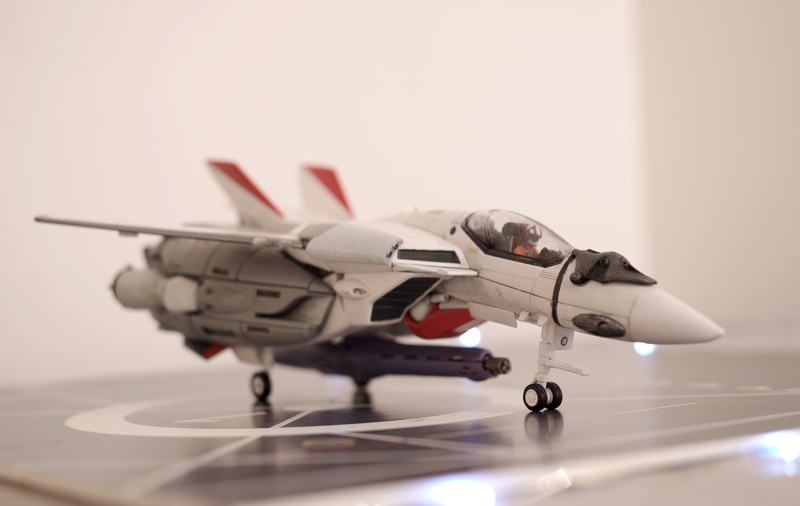 And I second @valhary about Arcadia Isamu: best sculpt and painting on a 1:60 pilot ever. Right now, I'm priming the hell out of the white calf backings that hold the leg armor. To get rid of the spongy look and feel of the material, I use Testors super fine white surface primer (lacquer). I put about 3-4 coats, and lay it on heavy, as a good portion of it will be sanded. After it all dries, the I use a 400 grit sandpaper, and lightly sand it all down to get a uniform, smooth surface. The end result is no sponge look. 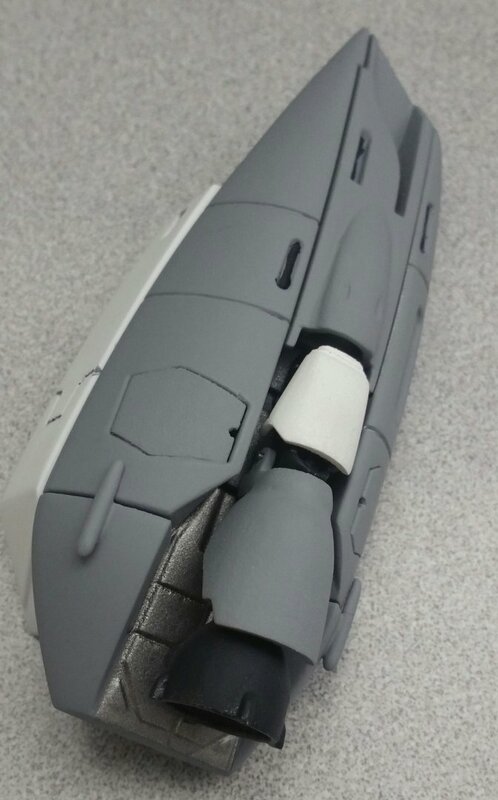 If you have grey parts, use a grey primer, but lay it on heavy. That's the trick. I'm working on parts in between waiting on other parts to dry for the drone. I use noname primer for standard or large projects and tamiya primer for my favorite ones. I may have to try this sometime. I have a few bottles of Future floor polish. I'm hoping to have a picture of the finished rear leg brackets today. They are looking quite good, and with a light 400, then 800 grit sanding, they feel like toy pieces. I wish I would've had this method down better when working with the drone wing in WSF resin. I know it's going to be a pain with the leg boosters and those parts, but I will try the floor polish with one, and fine surface primer for the other, and see what works best for small parts. I may also try another method of using Mr. Putty on the entire part, rubbing in in very well, or even diluting it, then letting it dry and sanding from that. I know that would fill in instantly with the pores, but not sure of the clean up and how difficult that would be. I think one great benefit of that method, is that the paint would adhere very well to the putty. I'm waiting on my last parts to complete at Shapeways, and for some reason, this order is taking way too long. 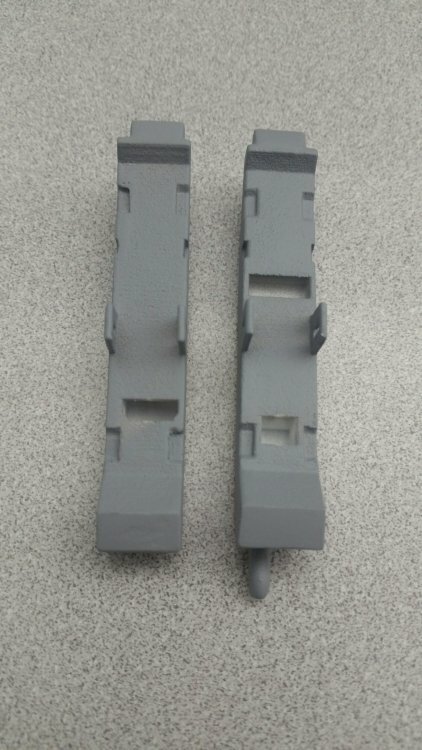 It's still not done on the printing process, so either there was a problem, or they messed up and forgot my parts. Either way, time will tell. That sounds like a great plan, please share your thoughts about the different methods. Unfortunately, I lately tend to apply the "prime and sand it until it looks good enough" rule with with a very high laziness. What white did you settle on? I'm thinking of just keeping the Testors Fine surface primer as the main color. 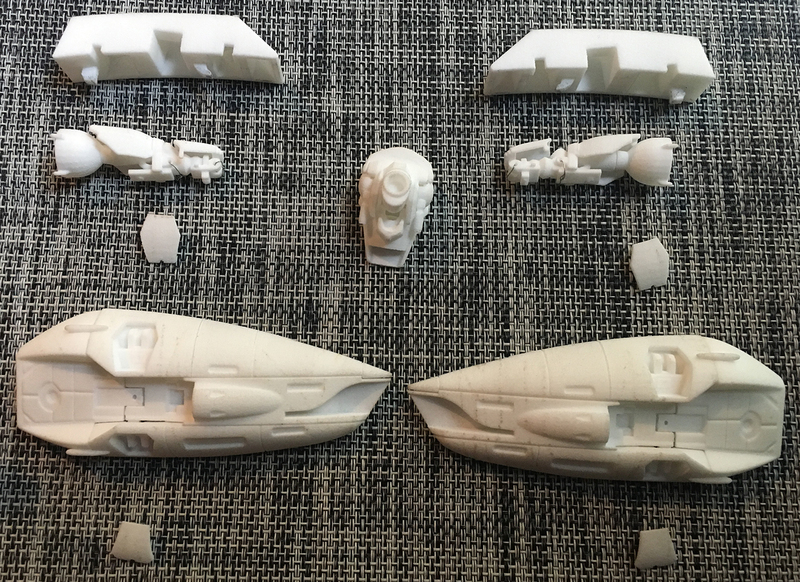 I haven't matched it to the unassembled valk yet, so if it doesn't match well, finding the right color, or simply going airbrush and mixing might be my other option. My last white attempt was to apply a light "white+blue" wash over the entire yamato plastic. Even if it was great for artificial lights, it was not for sun light. So I clean the bluish wash and I applied the red on the cap to test, and I was happy with the red accent. 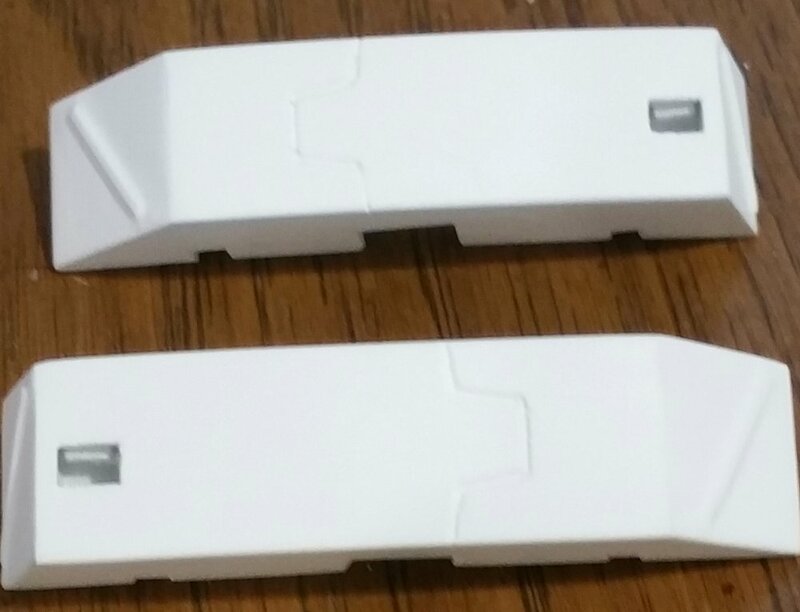 Since then, I bought Tamiya X2 White acrylic to test, but it wasn't better than the Tamiya white fine primer. 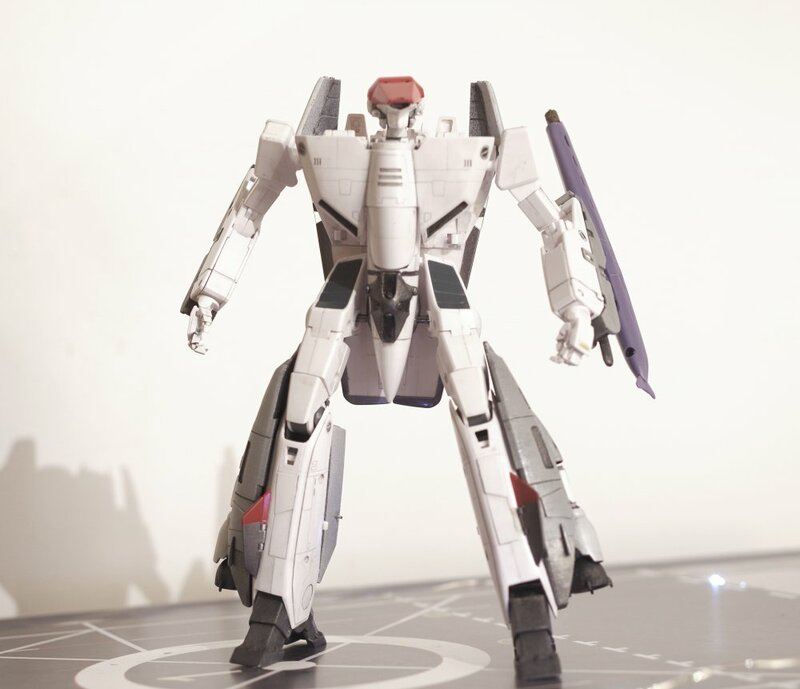 As suggested to me, I think the best option is to completely cover the VF-1 with a white primer to have all the different parts in the same white. 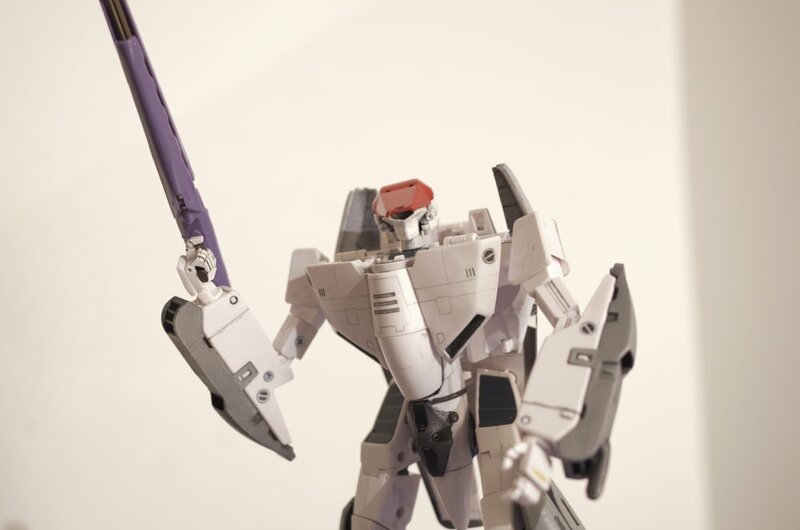 We should ask @chyll2 about its custom VF-1X++ ? 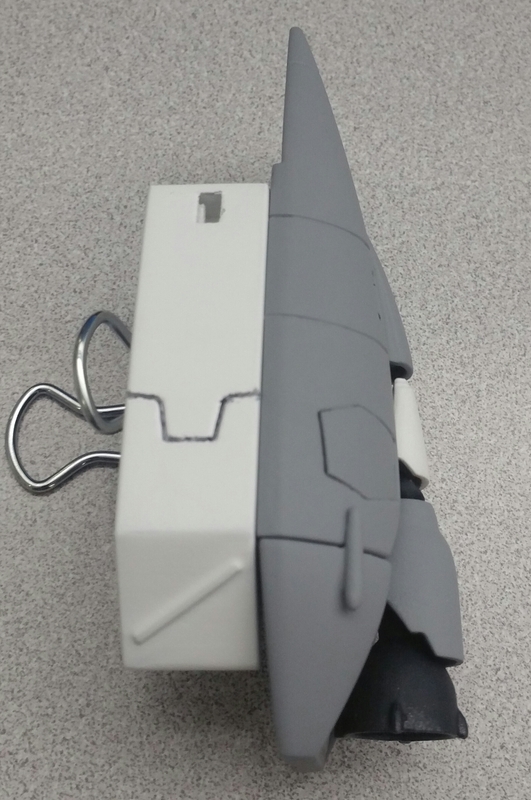 So, last night, I used some putty on the arm parts, as those are going to be a grey color, and the primer Tamiya has in grey, while a nice grey (more on the warmer grey side and very fine), doesn't fill in the spongy texture too well. I am using the Mr. Putty on these parts, and I put a layer of it on last night. I should be able to sand later today, and then put a layer of the primer on today, then see the results. For the nose thrusts, I ordered that in FUD, and it only requires little and light sanding. I've already sanded the bulk of it, but need to sand the hard to reach places now. Then I'll re-primer, and I'll need to recast, as it's a brittle material. I'll color cast it in black, or a dark grey, and then I can do all the drilling and pin inserts I need to do. I know it sounds like a ton of work for simpler stuff, but I get involved sometimes, LOL. The wing definitely needs that shielding on the face of it and the extra long flap. 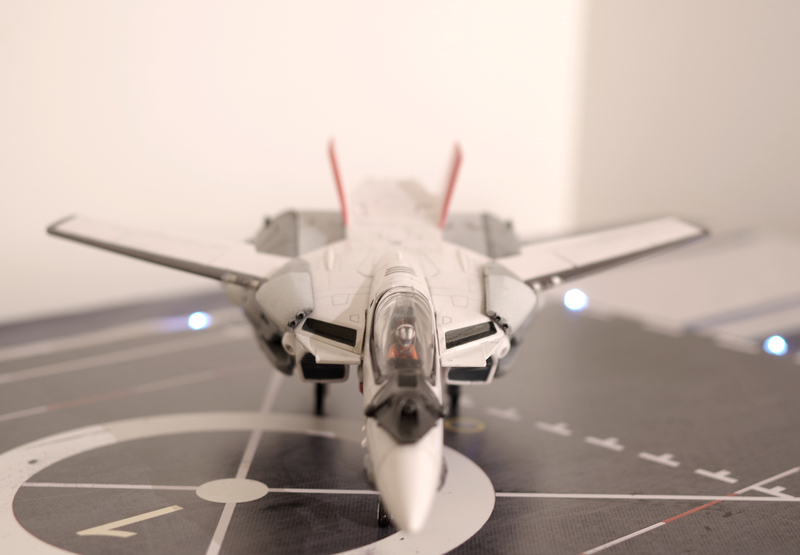 I may use styrene for the flap, and figure something out for the wing lead. OK, here's a comparison of the arms. One was puttied once, then sanded, the other was painted with heavy primer a couple times and sanded each time, then it was painted once with grey primer, lightly sanded, then painted again. Both were then matt coated after their paint jobs were sufficiaently covered. To be honest, the feel and look of both of them is the exact same. The major difference is the amount of time involved. Painting/drying/painting several times takes forever. while puttying/drying/dutifully sanding is really only a fraction of that time. The arm with the extra sensor coming off of it was the putty one. I'm quite happy with the end result of both, and will more than likely switch to just puttying the entire part. Both are really smooth and you can't tell they're WSF parts unless you look on the inside really close, and even then, it's hard. Really happy with the finish. Nice finish really, I would like to learn more about your putty method, which brand do you use, and how do you apply it? Is it this one? Mr. Hobby has several types of putty. Could you also use Tamiya putty? Yes, it's that one. I'm sure you can use others, but this one dries really hard, and sands down into a really fine grain, so it blends in nicely. I've used everything from Testors, Squadron, and Tamiya, but this one is, by far, my favorite. As for application of it, I simply apply a thin layer that I massage into the part. Because it's porous, I want to make sure it gets in there really well. Right after, I apply a thicker coat because all putty shrinks when it dries, and I want to make sure it covers everything. Then give it a day or so to dry, then sand down to the original part. Once you get it done, I wash it with soap and cold water, and check for errors or missed spots. After all that, just prime and paint. Here's two more examples. One in front was with putty and primer, then a Matt coat. The one in back was 5 coats of primer, sanding, and then Matt coat. They look the same to me, and feel the same. That's pretty neat result for a 2-pass process and smoothing Wsf parts. If I can find Mr putty here I should try it and compare it to the Floor vermish method. Just to make sure @Jasonc, do you apply the thick layer with a brush or with bare fingers also? Just bare fingers. I keep a paper towel and water so it doesn't dry on your fingers. I guess you can use something if you have an applicator. Me, I dont, so it's just my fingers. I finally got all the remaining parts, and the kit looks great. I do have a question for everyone. If you have the MtR books, what color is the leg fast packs? 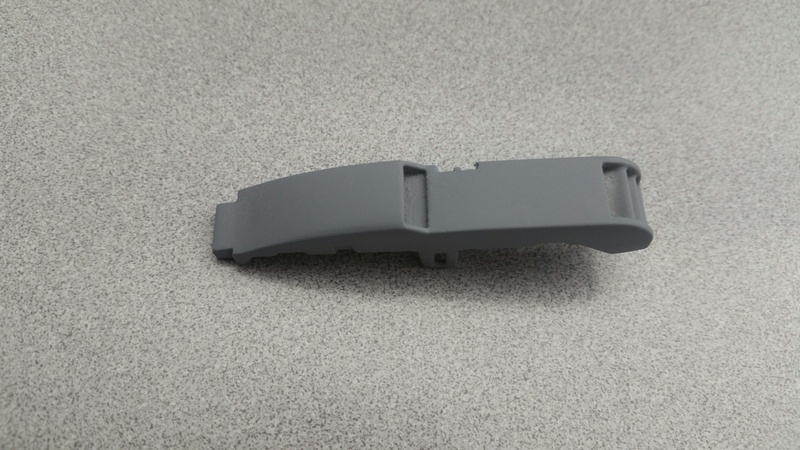 In some pictures it looks like a standard grey, with the obvious white trim, and in some others, it looks like there are parts that have a metallic finish. Does anyone have any pics of that section from elsewhere other than the book? Ok, so leg piece for the right side is done. I also just finished the feet, and found a great color by Tamiya called rubber black, that is a bit lighter than regular black and is a matte finish. I used that for the feet and booster nozzle and engines, and used gunmetal inside the booster. 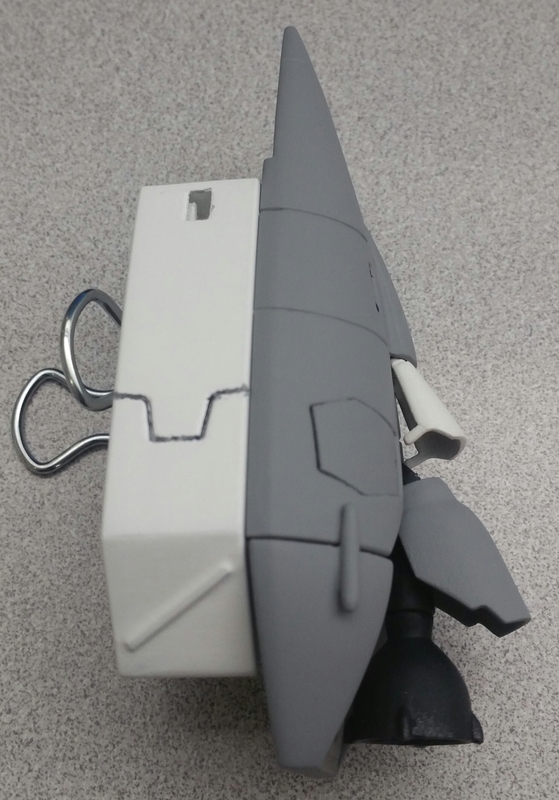 The grey is simply Tamiya grey fine surface primer, and the whitend is model master super fine surface primer. The section under the booster is stainless steel metalized on black. Really nice surface finish there! Don't forget to add a glossy finish layer on top of the grey primer if you want a more realistic look. Wow, I'd never guess that was a 3D print, that's beautiful! Funny story about it being realistic though.. if you ever really want to see something bizarre, get up close and personal to a factory fresh military aircraft. It honestly throws off your senses. I got to walk around a hot-off-the-presses Superhornet once, and it was just the weirdest thing to see a perfectly matte finish on an aircraft. The paint was flawless, no wear, no stains, nothing. It actually looked like a toy. 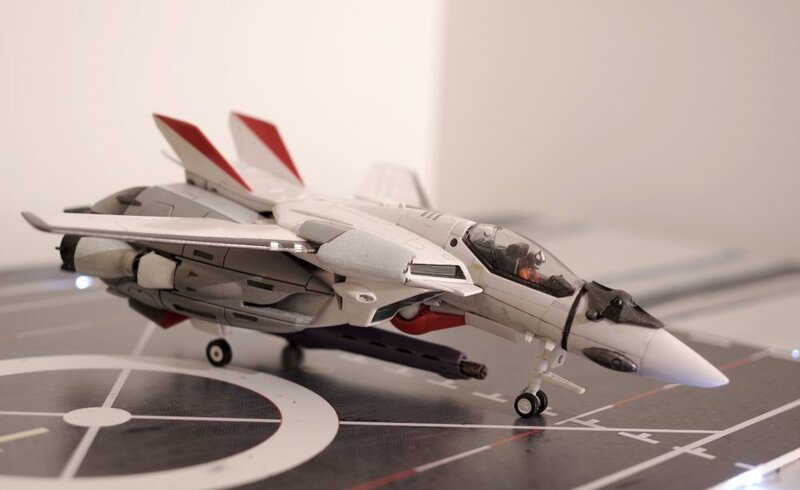 By the way, as a side note, I bet you that "Rubber Black" color would be a good match for the black nose panels on the DX VF-25s. If you've managed to chip the paint on that little point on the nose during transformation, it might be a good match to cover it up.